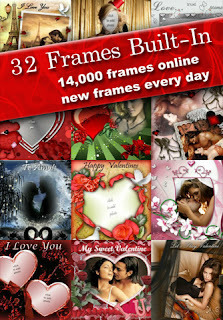 Developer Quote: "Love and Valentine's Day Frames makes it easy to frame your photos. Tell that special someone you care by sending them a digitally framed picture of yourself." - FX Eraser & Blender - easily apply FX to part of a photo like ColorSplash but better! With over 14,000 gorgeous, high-quality frames it's a snap to select one to make your photo stand out. Use photos from Facebook, your Photo Library or use the new Kimi-Cam feature which previews your frame as you take a picture with your iPhone camera. 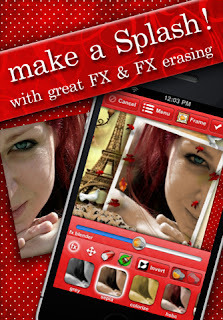 Imikimi's powerful FX engine with FX-erasing makes it easy to touch up or dramatically enhance your photos. Once you are done, post your framed photos on Facebook, save to your photo album, email or send via MMS to a friend. Use Love and Valentine's Day Frames to dress up your photos because you just can't beat their high-quality color and unique frames. COOL CONCLUSION: "The lush, vibrant color and grand assortment of Love and Valentine's Day Frames by Imikimi will add a loving sparkle to your everyday photos!" --iOS/Age Rating: This app requires iOS 3.1 or later. iOS 4.0 Tested. Rated 12+.